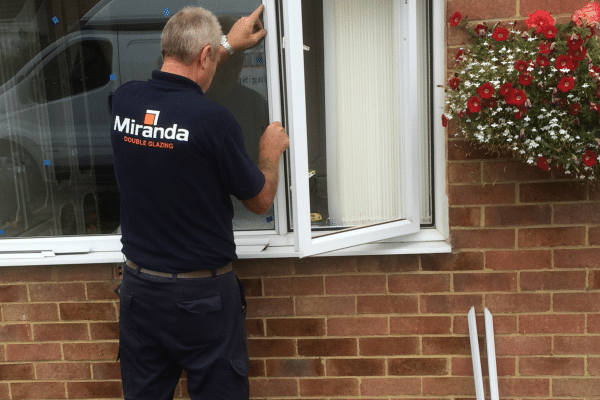 For the past 21 years we have been providing a fast, friendly and professional double glazing repair service in Medway and the surrounding areas and have thousands of satisfied customers. If you have a problem with your double glazing, from a misted sealed unit to a broken door handle, get in touch and we’ll book in one of our experienced engineers to take a look and give you a free quotation. Our engineers only ever carry out repairs and so you can rest assured that we will never try and sell you a whole new door or window when it can be fixed for a fraction of the cost. Very high level of service and quality ! Just to compliment you on your very high level of service and quality of goods. I placed an order earlierthis week for some replacement espags. Not only did they arrive the next day, but could have been custom made to fit. Draught proof Double Glazing again, handy at this time of year! Arrived the next day, thanks very much! I tried local companies and large online firms none of which could help with my obscure request for an old door handle. But a Google search for my specific handles sizes found this excellent company. Highly recommended. More than efficient and thorough, punctual too. Thank you so much for sending the two keys to me- I am delighted to say that they are the right ones! It is absolutely fantastic to have found such a wonderful level of service nowadays! You were very helpful, I now have a properly working handle. Thanks again for all your help! Clean & Tidy work, very pleasant man came and would have you again. Love the finish. Thank you for the work your colleague did in relation to my lock adjustment. Their attitude was very good and certainly gave me confidence that the problem has been attended to. Should I require in the future any work involving Double Glazing etc. I will not hesitate to get in touch. Very knowledgeable and helpful staff ! The following prices all include: VAT, labour, materials, guarantee and a free quotation. Prices are reduced when booking more than one repair. We also supply and fit extra security, cat flaps and genuine replacement Velux glass units. For a free double glazing inspection and quotation.